Made with Global Tissue’s most environmentally friendly processes, our Regal ® line of products is a perfect combination of select standard quality and great value. 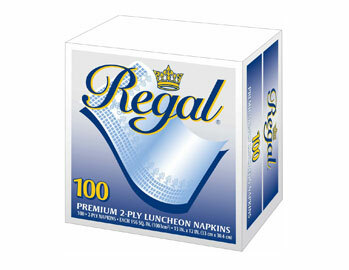 Competitive pricing and our use of recycled paper makes Regal’s diverse selection of napkins, paper towels, facial tissue, and toilet tissue earth-conscious as well as budget-conscious. © 2010-2012 Global Tissue Group, Inc. All Rights Reserved.